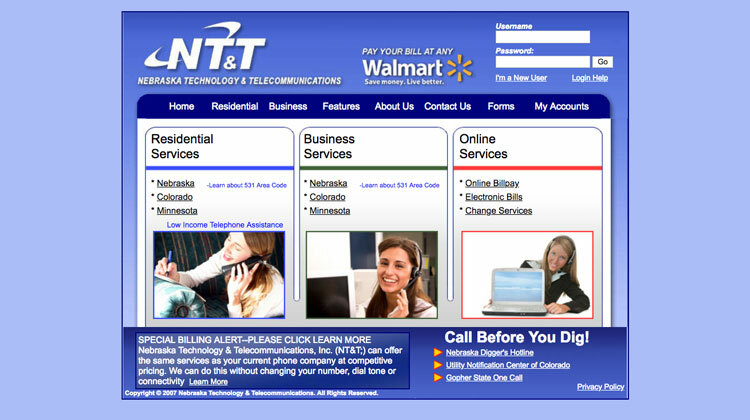 Nebraska Technology & Telecommunications (NT&T) is dedicated to bringing back friendly and personable phone service. 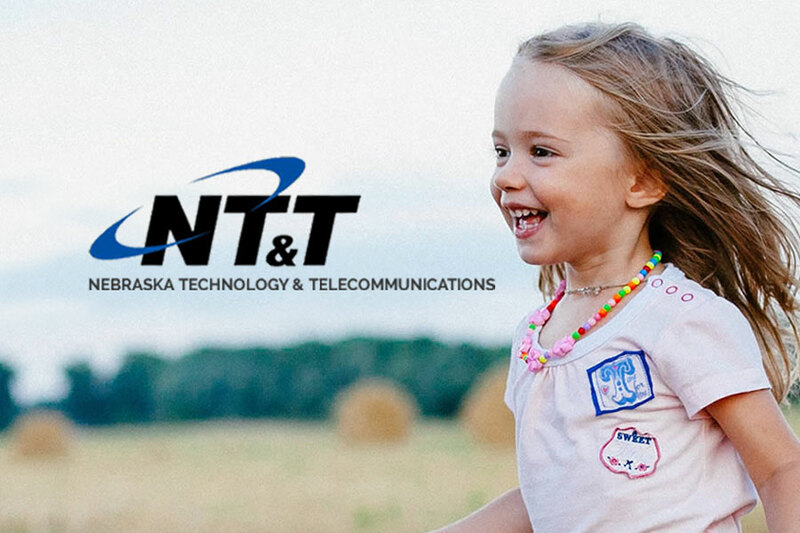 They are a new choice for local and long distance phone services, currently serving customers in Nebraska, Colorado, Minnesota, Iowa, and South Dakota. 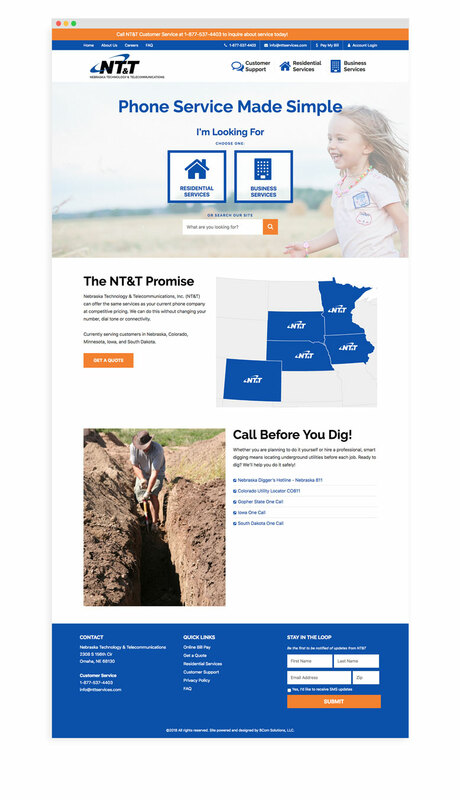 Because NT&T is focused on accessibility, we partnered with them to create a revamped, easy-to-use website where customers can get a quote, pay their bill, ask questions and more. 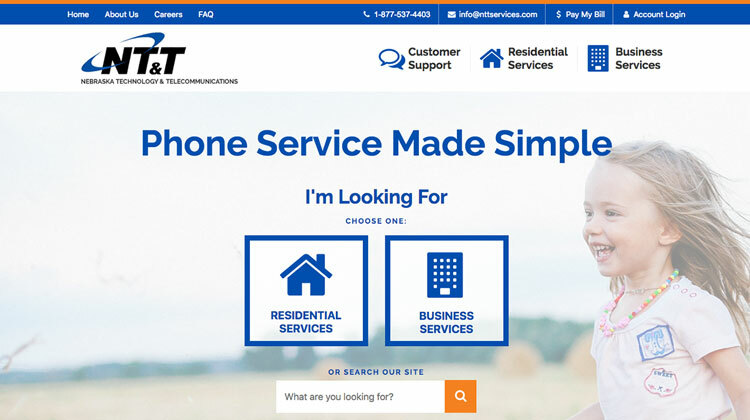 During the design process we focused on user experience so whether you need residential or business services, the new website is more user-friendly and reliable than ever before.